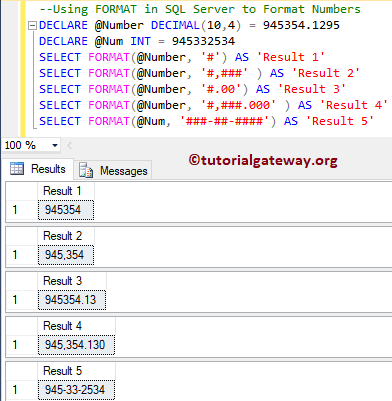 The SQL Format function is one of the String Function, which is used to format the specified value in given format. 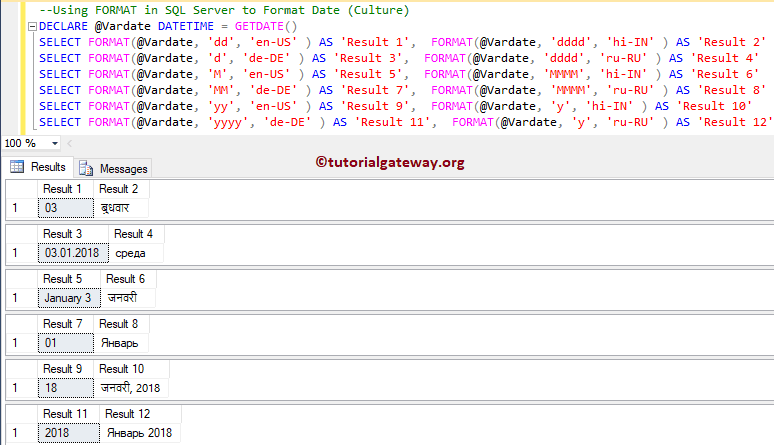 In this article we will show you, How to use Sql Server FORMAT function with practical examples. Value: Please specify a valid Expression of supporting Data Type. Format: Please specify a valid .NET Framework format string. Culture: This is an optional argument. 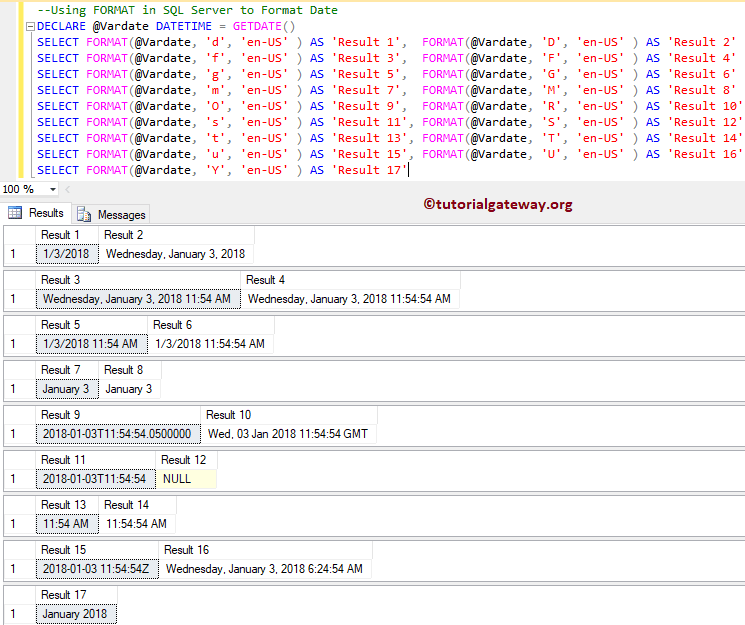 In this example we first declared a Datetime variable and assigned GETDATE() to it. Here, we are going to use the Format function to return the date in different formats. I suggest you to refer the Standard Date and Time Format Strings article to understand the string formats that we used in this example. In this example, we are going to use the format function third argument culture. By this, you can display the month name, or day name in the native language. Something like, Day name in Japanese, Chineses, Hindi, Russian, Korean etc. 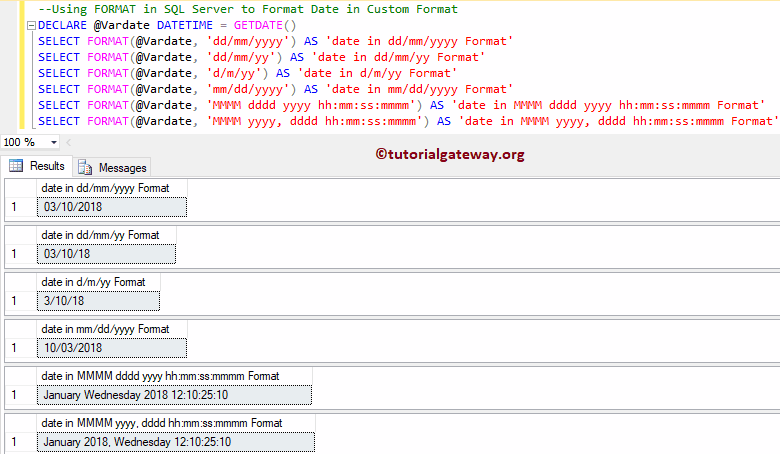 In this example we are going to define custom date time formats. By this, you can define the custom formats to display the date and time. 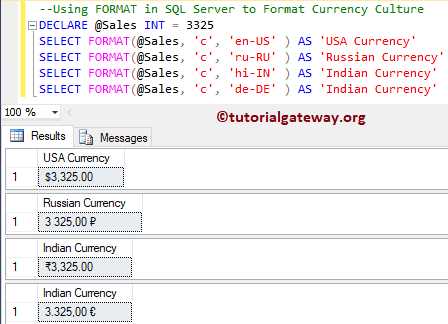 In this example we are going to format the Currency values based on the specified culture. In this example we use the format function to format the Currency. Using this approach, you can simply display the countries Currency symbols before the Money or Value. 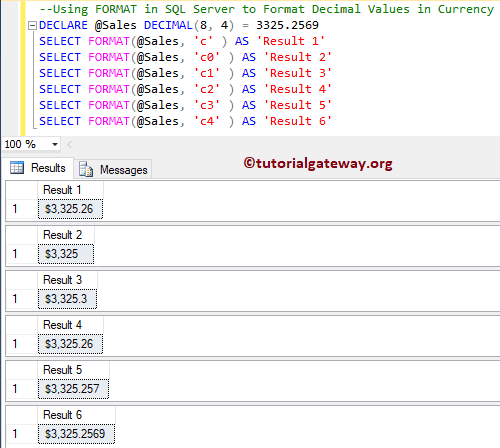 In this example we are going to format the decimal values in Currency using this format function. 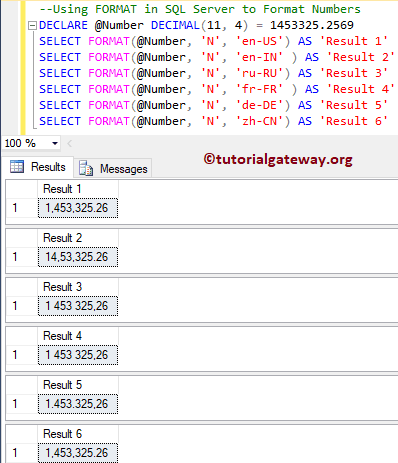 In this example we are going to use the FORMAT function to format Numbers. Culture specify the number formats. I mean, some countries separate 100s, and others separate 1000s etc. 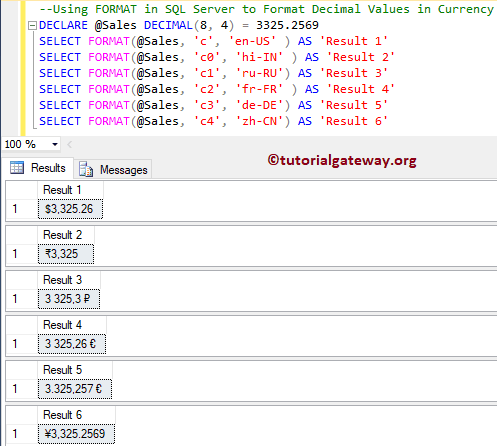 In this format function example we are going to format numbers. To format the numbers, you can use the # symbols. Or, you can also use 0 to specify the number of decimal values.